Heroin is a very powerful opiate. It is among the most addictive substances out there. One of the reasons that it is so addictive - and so powerful - is that it acts so quickly. If you inject directly into your blood stream, you can feel the effects in less than eight seconds. Heroin can be smoked or sniffed, but the most popular delivery method is injection. Heroin is also highly dangerous, since it is processed from naturally occurring morphine. Additionally, heroin is usually mixed with other substances, making it even more dangerous. Heroin use has powerful effects on the body. It clouds judgment, and causes alternating states of alertness and drowsiness when in use. While the initial effects of heroin (euphoria, flushing and heaviness in hands and feet) take only seconds to feel, the effects from one dose can last for hours. There are also longer term health effects associated with heroin substance abuse. Problems with the heart, lungs, kidneys and liver can all result from prolonged heroin use. Additionally, many heroin addicts have collapsed veins, due to repeated injections; after they have rendered the veins in the arms useless, they move to the legs. Other problems arising from the culture of needle use as it relates to heroin include the spread of HIV/AIDS and hepatitis. Heroin overdose can be deadly in some cases. Heroin overdose can slow the breathing to the point that it stops. Additionally, blood pressure drops dramatically. Mental faculties are affected in heroin overdose as delirium can set in. Vomiting, stomach contractions and muscle spasms are also signs of heroin overdose. In extreme cases, heroin overdose can result in coma - and can even kill a user. After repeated use, the body builds up a tolerance to heroin, meaning it needs progressively higher doses of the drug in order to accomplish the same effects. Dependency can result, leaving the heroin user to deal with withdrawal symptoms when he or she tries to quit using heroin. 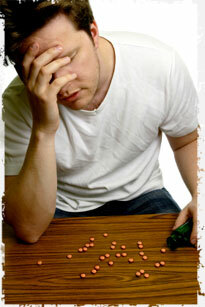 Withdrawal symptoms from heroin substance abuse can be very severe. These can include nausea and vomiting, as well as diarrhea. Also, cold flashes are common. Kick movements from muscle spasms can also result from heroin withdrawal. Additionally, physical pain in the bones and muscles can result, as well as intense cravings, sleeplessness and restlessness. It is important to treat the symptoms of withdrawal from heroin substance abuse. This is usually done with a combination of drugs and behavioral therapy. Methadone is the most common drug used, but buprenorphine is gaining favor as well. Naltrexone and naloxone are two additional drugs used to treat heroin addiction. The National Institutes of Health (NIH) have made recommendations to increase the availability of pharmacological techniques to help treat heroin substance abuse. Behavioral therapy can also be used to treat heroin addiction. However, it is usually used in conjunction with the pharmacological approach to heroin substance abuse treatment. Support from friends and family is often needed. In many cases, it can be helpful for a heroin addict to spend time in a residential treatment facility where he or she can receive around the clock medical attention and get the benefit of emotional and psychological health services. It is estimated by the NIH that about three million people have tried heroin at some point in their lives. And, while many teenagers (87.8 percent of 12th graders) report that they feel that using heroin is risky, there is evidence that later on they may try it if they have used other drugs first. The Centers for Disease Control, as well as the NIH, report that use of harder drugs like heroin and cocaine is more common amongst those who have used alcohol, tobacco and marijuana. Those who abstain from these so-called gateway drugs are much less likely to begin using heroin later in life. Marijuana is increasingly considered a gateway drug. New Scientist reports that those who experiment with marijuana, especially as teenagers, experience changes in their brains. It can condition the brain to be more reception to opioids later in life. The report points out that marijuana use affects the pleasure receptors in the brain (the area linked to addiction), and that this can make users more susceptible to harder drugs, including heroin, later on down the road. It is important to recognize the dangers of heroin substance abuse. Watch for signs of abuse, and remember that one of the main ways to prevent heroin addiction is to be involved in the lives of your loved ones. This is especially important with regard to children and teenagers. It may prevent them from getting involved with heroin substance abuse.